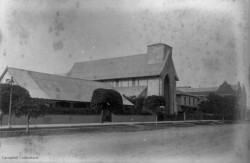 St Cyprian's was the third Anglican parish to be established in Durban. It has the distinction of dating it's beginnings to that period when The Church of the Province of South Africa separated from the Church of England. The parish was born of the controversies that rent the church in Natal during the time of Bishop Colenso. At the time the majority of clergy and laity elected to belong to to Church of South Africa rendering obedience to the Metropolitan Bishop of Cape Town becoming an entity within the Anglican Community. In September 1919, St Cyprian's celebrated it's jubilee with services of thanksgiving and a Jubilee Ball in the Durban City Hall. Special trams travelled to the Berea and to Bulwer Park to take revellers home after the Ball. The new St Cyprian's church in Congella was completed during the first months of World War 2 and was consecrated on 2nd March 1940. 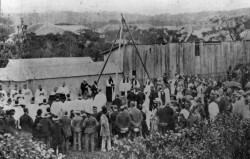 The foundation stone of the new parish hall was laid in 18th December, 1954 by the former vicar Rev. F.N. Ramsden and the completed hall was dedicated by the Lord Bishop of Natal the Rt. Rev. T.G.V Inman in June 1955. The cost of the new hall on the site which adjoins to church was well over £7000 more than ten times the cost of the parish hall built in Smith Street. Although the kitchen and offices were considered extremely spacious at the time of building, within 10 years the congregation was wishing that the accommodation could be expanded. In 1895 a house, 7 Umgeni Road was rented and here Miss Snell established a school for poor and especially the under privileged Coloured children. This was known as St Cyprian's Mission. Rev. Herbert L. Johnston (Later Canon) was a man of strong character and private means. 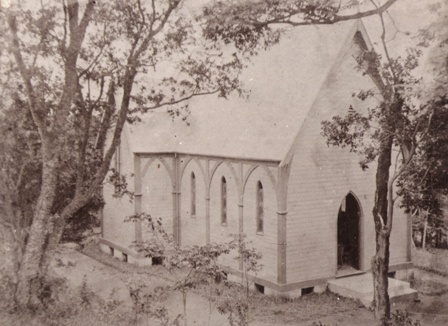 Canon Johnson was given the task of re-organising the parish of St Cyprian's together with his sister Miss Fanny Mary Johnson they encouraged Miss Hill in her missionary work. Parishioners of St Cyprian's raised funds for Miss Snell's work. Other Anglican churches in the Durban area supported the work being done at this mission which now became renamed Mission of the Good Shepherd. 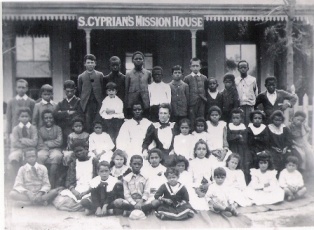 The old name St. Cyprian's Mission clung to the house in Umgeni Road. 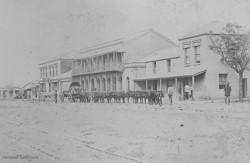 The Mission School was moved several times. In 1905 it was moved to Pinetown, in 1906 Bellair, in 1911 to Clairwood. In 1917 Miss Snell retired to England after working with Coloured children for 20 years. The work of St Cyprian's Home in Clairwood continues for th next three years under Miss Adams. 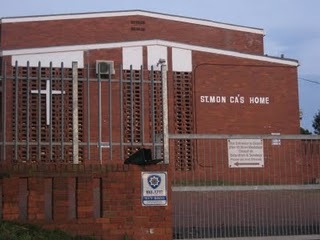 In 1920 the Home was moved to Hillary and the name was changed to St Monica's Diocesan Home for Coloured Girls. In 1969 the home was moved to temporary accommodation in Austerville. In 1973, the Home moved to the Bluff where it remains to date.The present site was purchased from a deceased’s estate with difficulty due to the Group Areas regulations at that time. The proceeds of the sale of the property at Hillary funded the repayments of a low interest loan from the Department of Community Development. St Monica’s provides residential care to 84 Children who have been abandoned, orphaned, abused or found to be in need of care by a court of law. The children’s ages range from 3 years to 18 years old and they are from diverse groups. The boys are accommodated from 3 to 12 years and the girls from 3 to 18 years. When the boys reach 12 years, arrangements are made for them to be transferred to another children’s home or alternate care is sought. Early 1970's According to a long standing parishioner, Mrs. Barbra Whaley St Cyprian's worshipped as a Charismatic church with enthusiastic hand waving. In her words, "the pews were placed in a circle in case one didn't knock out one's neighbour with enthusiastic hand waving"
1981 the organ and the choir stalls were moved from the Loft into the church and places near the chancel steps. 1995 St Cyprians celebrated a major milestone, its125th Anniversary service. The Celebrant was the Archbishop of Cape Town, Archbishop Desmond Tutu, assisted by the Former Archbishop of the Province of South Africa Archbishop Philip Russell, the Bishop of Natal, Bishop Michael Nuttall and the Bishop of Zululand Bishop Peter Harker (a former Rector of St Cyprian's). Two other former Rectors were present, Father Rod van Zuylen and Father Harold Crane. The Durban Philharmonic Choir lent support to the choir of St Cyprian's. The occasion was organised by the Parish Rector Fr Dane Elsworth and was attended by many dignaories including the Mayor of Durban representative. 1998 the old church organ was replaced with another model purchased from a Presbyterian Church in Pietermaritzburg. Saturday 16th May 1998 a work party of men assembled at St Cyprians travelled to Pietermaritzburg bringing back the new organ. 2001(October) A property at Nicholson Road was purchased (for R490000) as a new Rectory for the Church and Fr Elsworth took occupation. The move became necessary due to a commercial site in Umbilo Road and opposite the old rectory being used as a night club. The area had become unsafe due to patrons over consumption of alcohol and drugs. Following a clean up of the area by the police, the old Rectory was renovated and Fr Elsworth moved back. The property at Nicholson Road was kept and rented to tenants proving to be an excellent source of income for the parish. In addition the value has appreciated making the property a good long term investment. 2007 saw the extensive renovations to the Hall at a cost of R922000. 2010 August Fr Elsworth resigned as Archdeacon due to his work load and his commitment as Chairman of Durban Woman's Hospice . On the positive side the hall debt reduced R922000 to R175000 in a relatively short period of 3 years.